The following chapter has been contributed by the author, Terry Robson, with the permission of the publisher, Pluto Press. The views expressed in this book do not necessarily reflect the views of the members of the CAIN Project. The CAIN Project would welcome other material which meets our guidelines for contributions. This chapter is copyright Terry Robson (2000) and is included on the CAIN site by permission of the author and publisher. You may not edit, adapt, or redistribute changed versions of this for other than your personal use without the express written permission of the author, and the publishers, Pluto Press. Redistribution for commercial purposes is not permitted. Community development has gone through many stages since the early days of independent radical community activism. It has acquired the trappings of a much more complex, broad ‘social movement’, rooted in an entrepreneurial ethos. State agendas on social policy and welfare have been uncritically embraced by the community movement and responsibility for the management of state-determined programmes of community care accepted with silent and uncritical approval. In this volume Terry Robson draws on Gramscian concepts of hegemony, civil society and the contradictory role of the community worker as a ‘radical intellectual’ to demonstrate the problems inherent in this co-option. Against a background of continuing civil and political conflict, he examines the role of the state and the super-state in Europe (focusing on Britain and Ireland) and the United States, and challenges the vapid optimism in the belief that community development, in its present form, has any potential to effect real social change. This book will bring the reader up to date on a broad range of community issues and provides a comprehensive overview of the present state of community development theory and practice. Terry Robson has been actively involved in a variety of community action programmes for many years as a researcher, teacher and practitioner. He is currently teaching at the University of Ulster. Early in 1965, during the campaign to have a second university in Northern Ireland sited in the second largest city, there was a clear indication that a popular movement was beginning to emerge which would include the middle class of the nationalist community. The Derry-based campaign was one of the few genuine cross-community popular developments before or since the advent of the civil rights struggles. But whilst there is some evidence that community-based campaigns on social and economic issues were quite common in all of the nationalist communities, there is little to suggest that, with the possible exception of the poor-relief marches of the 1930s, common cross-community activity located within exclusively working-class communities was a feature of the society that was Northern Ireland. The campaign against the siting of the university in Coleraine, a provincial, largely Protestant town, was seen as non-confrontational, in spite of the sectarian undertones of the decision, because it was designed to address the relatively safe and non-contentious issue of higher education. Furthermore, the Lockwood Committee which made the recommendation was entirely made up of representatives of the Protestant community. There were many more serious structural issues to address such as high unemployment, and sectarian discrimination in housing, local government and employment; these were issues which would have to be dealt with in an entirely different way, perhaps using novel means and addressing an entirely separate constituency. There would be a point, inevitably, according to Marxists such as Eamonn McCann and a few ‘left’ Republicans, when the middle classes would withdraw their support from the battle. But to a very large extent, the early history of community action combines a history of nationalist working-class struggle in Northern Ireland, both for the fair allocation and equal distribution of resources as well as for the demand for changes to the unionist-dominated local and regional government. There has been a dramatic increase in community-based activity in Northern Ireland in the past thirty years. The growth and expansion of the community movement during this period were probably due to a number of factors. The emergence of a broad-based, grass-roots movement, which articulated the political demands of a substantial minority of the North’s population, provided an initial stimulus to those who recognised a need for a wider response to poverty and inequality. In the volatile atmosphere of politics in Northern Ireland, such demands were easily translated into an attack on the state by unionists, whereas many socialists and republicans quickly concluded that the state was irreformable. Such a development, when seen against a background of considerable social, political and economic instability and the subsequent withdrawal of large sections of the community behind barriers and barricades, resulted in a recognition by many, especially within the nationalist community, of the need to search for local solutions to local problems, as an extension of the quest for wider solutions to more general political questions. There are two distinct phases which could be described as being related to the development of community action if we see it as a response to and progression from the political conditions of Northern Ireland. The first is that period marked by the apparent lack of government or state involvement in community initiatives prior to the period of civil rights agitation but in which the growth of enterprises such as the credit unions and housing associations were significant community-based initiatives. The second is the subsequent involvement by government, in response to the post-civil rights agitation, through a Community Relations Commission which was initiated as a clear response to the political problem and social manifestations of sectarianism. In short, the first phase took place before the outbreak of the present cycle of troubles and the second represents those developments which have occurred since. As such, 1968 - the beginning of civil rights agitation - marks a watershed in community development thinking in Northern Ireland today, not only because it represents a substantial adjustment in the perceptions and confidence of the nationalist community, but also because it indicates the change in direction in government policy about the potential as well as the deep-rooted dangers of such a development. Whereas the first of those developments was to create a lasting impression on many of the principal actors in community activity, it was the latter which would mould their practice and in which government would intervene and affect the process, through the creation of a Community Relations Commission as well as the direct control over the distribution of finances and other resources through the Departments of Economic Development, Health and Social Services and a range of other quasi-governmental agencies. It is interesting to note both the method and the focus of this state intervention. Because it was felt by those in government that the ‘Irish’ problem was essentially one of community conflict, the solution, logically, was to intervene in a way which would address the issue of relationships. But of course the problem was and is much more complex than that, and as a consequence, the Commission was not to last very long. Headed by Maurice Hayes, it was formally wound up in the course of the speech to the Northern Ireland Assembly by the former Minister of Community Relations, Ivan Cooper, when he announced the creation of a new and larger agency. But before such a decision was actually taken and legislation introduced to the Assembly which would dispatch the Commission with some credit, the Northern Ireland Assembly itself was prorogued in May 1974. The decision to wind up the affairs of the Commission was taken for a number of reasons: it was created in the post-1969 era when independence from government was considered a prerequisite for effective work in the community and it was believed that greater, rather than less, contact between government and community was becoming increasingly recognised as necessary and desirable. There is perhaps another, if unstated, reason which suggests that the objectives of the Community Relations Commission to create bridges between the two communities through the adoption of a community development strategy ultimately hastened its dissolution. It was believed that the organisation of campaigns around social and economic issues, in addition to an understanding of the common experience of poverty, would ultimately draw the warring factions together. Gaffikin and Morrissey believed this was predicated on a failure by the British especially, to appreciate the complexity of the political crisis in the North, which also had a historical/cultural dimension to it. However, according to Ivan Cooper, the Commission was a lame duck from the start and wasn’t likely to achieve very much in its existing form because of what he described as the ‘congenital conservatism’ of the Commission members. Furthermore, in spite of the view held by many that Ivan Cooper was primarily and solely responsible for the closure of the Commission, it was Cooper who pointed a finger of accusation at the former Commission chairman Maurice Hayes and director Hywel Griffiths as being involved in advising him that the Commission should be brought to a speedy end. The power-sharing Executive’s decision which would bring the Commission to an end was ratified by Parliament. In December 1974 the Minister of State at the Northern Ireland Office announced that the Department of Community Relations would be subsumed into the Department of Education. He also announced that local government authorities would be encouraged to adopt a more constructive role in the development of community-based activity. The new relationship of local government and the voluntary sector was to be provided with the resources to enable some limited financial aid to assist community groups with their administration costs. Within its short history, the Community Relations Commission provided a hint that a different approach to the problems of Northern Ireland might offer some hope. That different approach was to be based on a recognition of the value of promoting a community development programme. What influenced this apparent change in direction? Dr Maurice Hayes spent some time in the United States and was influenced by the community development method employed in the Johnson poverty programme as a means of both bringing separate communities together as well as raising within them a level of confidence in the prospect and the possibility of change. As a consequence, Hayes convinced the Commissioners of the value of this approach and argued for the appointment of a Director and a number of field workers who were to be described as community development officers. There was little to indicate that the Community Relations Commission was markedly different from most other state-sponsored organisations interested in a community development strategy. Their understanding of the meaning of community development offered little that was unique or different, nor were they able to offer anything that might tackle the serious problem of institutionalised sectarian discrimination. A number of strategies were adopted. In the first place, it was assumed that the field workers would identify existing community groups, offer support and encourage the growth of new groups in those areas where such a tradition did not exist. This seemed particularly important in those loyalist areas which had little experience in community development. It was felt that government needed to engage in dialogue with community groups and that this process would allow for channels of communication to emerge. In so far as it attempted to deal with the problems afflicting the community as a whole through the community development approach, the Community Relations Commission had much in common with the Community Development Projects in Britain. However there were a number of quite substantial differences of perspective. First, the Commission wasn’t established as an agency which would see as its primary task the creation of a community development office. Furthermore, it was compromised by the fact that some unionists saw its objective as providing a form of redemption and impunity for rioting nationalists. The efforts of some in the Labour Party to highlight the nature of the structural problems were often dismissed casually by the leadership of the party as well as by those on the opposition Conservative side of the House of Commons. Northern Ireland was not regarded as high on the list of priorities of either side in the Commons. However some more seasoned observers identified the main problem as one of the alienation of the nationalist community. And whilst, even then, it was not openly regarded as the main source of grievance, there were many who privately acknowledged this. The appointment of Maurice Hayes was seen as a deliberate attempt to send signals to the nationalist community that it was time for them to come in from the cold. Objectively, it was a discernible attempt to legitimise the state through the integration of the nationalist community, by appointing a former senior Catholic civil servant. In more recent times it would be described as the social inclusion of an already socially excluded group. But was it an attempt to extend the hegemony to a section of the community which was in the serious business of political transformation? Did government recognise the signals? This view was confirmed by Ivan Cooper: ‘That’s the reason why the Department was set up in the first instance. The Department of Community Relations was created to try to keep us quiet. That it had an independent veneer. It was seen by unionists as a sop. There were a number of problems which arose because the Community Relations Commission was conscious of the dangers to the process of such an approach as well as the fact that they were also aware of the difficulties of not being properly resourced for the task. The community development officers (CDOs) believed that they had on the one hand to be independent of the Ministry of Community Relations and on the other to have access to resources which would enable them to fulfil their role. It is almost certainly true that some senior civil servants in the Ministry were suspicious of the role of the CDOs whilst at the same time anxious to take advantage of any information which would be available to them from community groups on the ground. The principal uncertainty affecting the work of the CDOs was the dilemma of facilitating local groups in their attempts to establish a presence by supporting and improving access to resources, whilst at the same time ensuring a degree of independence from government institutions. In other words, should they act in a traditional role as extensions of the civil service or as radical agents of change? This was especially important at the time because of the extent to which the nationalist community was becoming alienated from the Northern Ireland state and the degree of suspicion which had saturated the entire community against anything which made them mistrustful of government involvement. They had an additional problem with which to contend. Because of the terms of the Social Needs Act (1970), grants were available to community-based projects. However, the Community Relations Commission, with its limited powers, could only offer recommendations and support for those who wished to apply. In truth, the Commission had very few real powers at that time. The increased intensity of the political conflict, with a dramatic rise in violence and the movement of sections of the mainly nationalist population, following the introduction of internment without trial, resulted in widespread disruption of local and statutory services. In response to this, the CDOs organised emergency centres providing help and assistance to many of those residents under threat of intimidation, especially from gangs of loyalists. The inevitable result was that the credibility and independence of the Community Relations Commission, already regarded with considerable cynicism by members of the majority unionist community, were to become firmly established within a number of the embattled nationalist communities. As a result, it was argued that leave should be sought to enhance the programme by increasing the level of support for the project areas, from ten groups to thirty, as well as a substantial increase in the appointment of CDOs. The response from the Ministry of Community Relations was to ignore the request. It was felt that this rejection resulted from a fear within the Ministry that the CDOs were developing signs of opposition to the state, or that they were perceived as having the potential for doing so. This action forced Maurice Hayes to submit his resignation, followed two months later by the director, Hywel Griffiths. The effect was to result in the eventual closure of the project and the shelving of any future plans for the creation of a community development programme. Those who replaced them attempted to steer the Commission away from the community development direction towards a strictly community education and community relations approach. According to Niall Fitzduff, this was an attempt to de-radicalise the field workers. I could have decided to keep the Commission and expand its budget, I would have had great difficulty in getting that through because the Commission members themselves would not have wanted to spearhead that campaign. As far as they were concerned they wanted to keep the Commission at the size that it was. I couldn’t have forced a budget over their heads if they weren’t prepared to do it. The facts speak for themselves. If you look at the election results of 1973 SDLP politicians polled extremely well in every single area. Take my own constituency; from memory I polled 12,000. It [the Community Relations Commission] was discussed very little in the SDLP. Hume was preoccupied with his Department which was Commerce, Currie was preoccupied with his Department, Devlin was preoccupied with his and we didn’t see a great deal of each other at that particular time. The only person that I was getting hassle from was Peter MacLachlan the Unionist. There are a number of different views on this issue of the role of the Commission and its community development officers. Griffiths felt that the Ministry of Community Relations was concerned about the affirmation of independence by the field workers and their ostensibly radical approach, most notably during the period immediately after the introduction of internment. In an unpublished paper, University of Ulster lecturer Dr Bill Roiston argued that there was little that was truly radical in so far as their battles were confined within the Ministry of Community Relations, and to a lesser extent, directed against the Commissioners. This was confirmed by Niall Fitzduff who didn’t see their primary role as having a radical focus even though there was some disquiet expressed by those nationalist politicians who saw themselves having to face a growing threat from community groups, particularly those within strongly republican areas, in the process of asserting themselves and flexing their muscles. Another factor which led me to the same conclusion is the concern which I expressed over the lack of contact there was between some community groups and the elected representatives of their areas. There was nothing in the present Commission structure which would help to counter that tendency. I was anxious, therefore. that the advisory body which replaced the Commission would provide opportunities for the closer involvement of elected representatives. There was a meeting with Ivan Cooper, and Paddy Doherty, Terry Doherty and myself going to a meeting when he was Minister at Stormont. He knew all of us very well and he would have civil servants there taking notes of the meeting so we decided that we would be very formal and deal with the matter which would allow them space. There was a proposed community centre to be built at Pilots Row and the proposal that was on the table was pretty much the same community centre that was at Brooke Park. We went in to say that we didn’t want that and that we had alternative plans which were very elaborate, much more elaborate than at the moment, but what is there now happened very much as a result of these negotiations. So we went in very formally and presented the case. ‘Mr Minister we represent the Bogside Community Association ...‘ He interrupted and said ‘Would you three ... shut up. Who do you think you are talking to?’ It was quite embarrassing. He said ‘I know the hearts and minds and needs of the people of the Bogside more than anybody in this whole wide world and I don’t need this.’ He told us to get out. Not long after this Ivan Cooper announced that he was doing away with the Community Relations Commission. A well meaning but dangerously vague concept of community action is offered as a replacement (to party politics). Potentially more dangerous still is the astonishing new growth of community associations, some with dubious connections, but nevertheless intent on imposing their will on housing, roads, redevelopment, community halls, libraries and so on to the virtual exclusion of elected politicians ... The alternative to elected representative government can only be anarchy or tyranny in the long run. The debate which flourished amongst some of the community development workers in the post-Hayes Community Relations Commission and the Commissioners, over the potential of a community development strategy which concentrated on the value of community action as a means of addressing the political manifestation of the breakdown in community relations, turned instead to issues related to community education. This strategy was seen as non-threatening, avoiding the embarrassing confrontational problems associated with community action and initiating a broader-based body which would be more representative. The purpose of this new body would be to take responsibility for the old Community Relations Commission’s advisory role, with the executive functions being transferred to other agencies. In the final Evaluation Report (1982) of the Community Worker Research Project, it was stated that the decision to terminate the Commission took cognisance of a number of factors. First, the Commission was viewed as a necessary invention of the 1969 situation when independence from government was considered a prerequisite for the Commission being able to work effectively within the community. There was now no need for any section of the community to feel excluded from government or to feel that government might be unsympathetic to them. Second, more direct contact between government and people was construed as the way forward. The buffer function of a Commission structure could not counter the increasing tendency towards deteriorating relationships between community groups and locally elected representatives. There was every reason for the community to feel that government was unsympathetic as evidenced by the events after the demise of the civil rights movement. However, before legislation could be introduced into the Northern Ireland assembly at Stormont to wind up the affairs of the Commission, the assembly was closed down. A Joint Working Party was set up in January 1975 between the Department of Education and the Association of Local Authorities. Representatives were to include the Clerks and Town Clerks of six district/borough Councils and representatives of the Department of Education. The Report from the Working Party addressed four specific areas: the provision of facilities, community centres, assistance to community groups and finance. These were as follows: district councils should make facilities available for community centres, provide grant aid for any groups wanting to build such centres, provide advice on ‘establishment’ grants to groups dealing with statutory bodies, and employ community service officers and pay grants of up to 90 per cent for the salary of organisers of those groups deemed capable of coping with such an appointment. After consulting with a number of agencies such as the Association of Local Authorities for Northern Ireland and the Interim Standing Advisory Conference of Community Associations, the Minister of State accepted the Report in principle. Recommendations of the newly created Advisory Conference of Community Associations (ACCA) that an independent institute of community development be established were not, however, accepted. A suggestion that such a body could be created as a ‘researcher for government’ was received with considerable suspicion by the community associations. In 1977 the government announced a new community worker research project (CWRP) and a community education forum to meet new recommendations by ACCA that money should be made available to enable some community groups to employ a full-time worker and that money be made available for the education and support of these and other workers. The new body claimed to offer support to community-based development projects and announced that it would produce a research evaluation report based on an assessment of the contributions of individual project workers. This report was to be directed at government so that a decision could be made about whether it should continue or disappear. It was also to have a steering committee nominated by the Minister of State, the Association of Local Authorities and ACCA. The Community Worker Research Project was to be funded by the Department of Education for Northern Ireland (DENI) for three years. The first chairman of the steering group was Professor Hywel Griffiths, professor of social administration at the New University of Ulster,12 and former director of the Community Relations Council. It bad responsibility for the selection of projects, for establishing training programmes for the workers and the setting of salary levels and other financial matters. Forty-seven applications were received by the steering group from community organisations involved in a range of activities from working in housing issues to the care of pre-school children. In total, 14 projects were selected for funding under the community worker research project. As an initiative by government, it was a typical top-down approach to community development. Groups selected for funding were to include community associations from both unionist and nationalist, Protestant and Catholic, sections of the wider community. On the face of it the groups would have had little, ideologically, to separate them. But the Report identified a number of different political approaches. For example, one application centred on methods of combating vandalism whereas another viewed vandalism in a wider political context. The problem of providing a welfare’ rights service - believed by some activists to be nothing more than an extension of the DHSS bureaucracy - was countered by those within the claimants’ union movement who fought for a greater degree of involvement of the claimants in confronting the civil service for benefits. One argued for the provision of a service to an embattled community, whilst the other saw mere service provision as counterproductive and contrary to the real needs of getting to grips with the source of the problem and the scarcity of resources. Clearly for some the problem wasn’t viewed only as a question of poverty, which was seen as a symptom of the problem, but of structural inequality. In other words the state was the obstacle. University of Ulster academic Dr Roberta Woods insisted that the projects which were seen as successful were those where the community worker had a specific role and a set of clearly defined tasks relating to the provision of a service. Of those, Craigavon, Sandy Row, Ballybeen and the Media Workshop were believed to be the most prosperous, partly because of their ability to fix the limits of their roles, but also because they were able to revise their goals and subsequently revise their activities. In short, they were able too adopt a more flexible strategy. However, a number of questions emerged when activists attempted to confront serious problems such as unemployment. This proved to be difficult because of the marginalisation of community work during this period, but perhaps primarily, because of the shortage of resources. Some groups such as Dove House in Derry and Conway Mill in Belfast attempted to develop their own sources of income from the United States. Attempts to address the problem of unemployment were faced partly by a level of apathy as well as fatalism within their communities, but also by levels of cynicism by the agencies. In truth, the local communities were hardly likely to swoon with delight at the prospect of a localised response to unemployment and poverty. There was little confidence in such a process. However, these were not the only predicaments facing the local community activist. Questions such as isolation, displacement, the management committee’s amateurishness, personal jealousies and petty political squabbling as well as the unenthusiastic involvement of some of the district councils contributed to the uncertainties experienced by the community workers projects. Woods saw the problem of isolation as a recognition of the low level of support coming from their own communities as well as from the management committees. A number of other projects such as Crossmaglen failed to meet their own objectives, partly because they were too ambitious, but also because they were unable to affect the decision-making apparatus, both locally and nationally, which had power over the distribution of resources. Much of the work undertaken was decidedly too ambitious, creating problems both for the various management committees as well as for the community workers. Often this relationship was strained, resulting in conflict, mismanagement and a consequent failure to meet even the minimal goals set out by some of the organisations. According to Woods, whilst most of the district councils cooperated with the projects, only in three cases was such cooperation followed through by tangible action and support. Attempts to initiate self-help projects received little support and the district councils concentrated future funding on service provision rather than on support for single-issue campaigns. Whilst the councils had an opportunity to influence the development of community development work from that time on, most opted instead to avoid providing support for community action and development activity. Some of the issues which emerged, both from the experience of the Community Relations Commission and the later Community Workers Project, such as community relations accountability, lack of resources, women, rural development, poverty, personal development, and education and training for employment raised questions about the commitment of the state to local development, accountability and independence. It was thought that there was a need to review the existing state of community development on the basis that there had been significant structural changes in the previous decade. However, it barely touched on the political issues on the ground which forced such changes. For example, the issue of the origins of sectarianism and religious discrimination was one which affected all nationalist communities. But what were these structural changes which had taken place and which necessitated a review? Both regional and local government had been dramatically affected by the political events which had occurred in Northern Ireland since the prorogation of the Stormont Parliament. The ten years prior to 1989 had seen the re-emergence of the hunger strike as a weapon in the armoury of republican prisoners in which ten had died. The consequences, for the development of republican politics, had been profound. There was a growing recognition, particularly since the emergence of the ‘ballot paper in one hand and armalite in the other’ strategy of Sinn Fein, that a form of limited power lay in the streets and the hillsides of Ireland. As a consequence, the Republican Movement adopted a new and dramatic strategy which resulted, in the aftermath of the election of hunger striker Bobby Sands, in the election of 48 local government councillors, and a recognition of the value and political potential of community-based activity. At the same time, the Northern Ireland Office initiated a community employment initiative, the Action for Community Employment programme, which allowed for local employment to be based on community projects. Issues related to the need for an extension of democracy and local empowerment became the subject of discussion at most conferences on local development. These had implications for the future of community work as a profession between those who were engaged in such development at the pit face of community work and those who were responsible as policy makers for the provision and distribution of resources. The Department of Health and Social Services established a Voluntary Activity Unit (VAU) at its headquarters in Stormont with a brief to encourage and develop community-based strategies for local development. The authors of a report on community development in Northern Ireland held the view that community work had become fragmented in the late 1980s and early 1990s, had lost its focus and that individual community workers were having to work in isolation. The report represented a clear recognition of the reality of a changing situation as well as an understanding of the increasing marginalisation of the liberal agenda originally implied by the community development method of grass-roots democracy and accountability. A Community Development Review Group (CDRG) pointed to the lack of support for such work amongst district councils and noted that even within those voluntary organisations most associated with such work, community development had acquired a low priority. The review group pointed to what it described as the honourable history of community development and its involvement in issues ranging from childcare to welfare rights and from housing repairs to Opposition to sectarianism. However laudable the sympathies, the group omitted to mention the somewhat less than honourable history of a gathering reluctance to become embroiled in religious discrimination issues, whether in jobs and the allocation of housing, as well as the repressive measures adopted by the state in particular in most nationalist ghettos. Only once, in passing, did the CDRG mention the creation or the promotion of alternatives to existing structures. In attempting to define the meaning of the term ‘community development’, the group examined both its historical origins and its current status as a means of addressing its relevance to the situation in Northern Ireland. It concluded that community development existed as a process which combined community work, community action and community organisation into an integrated whole. But the group went further, in arguing that it saw community development as a union of community action and state sponsorship or intervention, drawing them together in an alliance or in a partnership. Indeed, the review group in concluding a report on funding and support admitted that whilst there was a real problem of a lack of inter-agency cooperation, there was also a well-grounded belief amongst many community organisations that identification with campaigning would only serve to alienate potential funding agencies. Little was offered by way of leadership from the group whose members probably regarded themselves as representative of the intellectual traditions of the movement. Such a way of thinking might be taken to infer that the only way forward was to cut and run, ignore the broader issues and get on with the business of acknowledging the primacy of the state. In fairness, the CDRG did argue in its recommendations for a greater input in the provision of resources in addition to admitting that the group recognised a lack of clarity from government about its responsibilities in relation to the development of local communities. But what was not made explicit was their understanding of the level of government responsibility in this regard, or the degree to which the local community should be involved in exposing the government’s indolence or reluctance to deal with the structural problem of poverty. Six major recommendations were made by the working party on community development in Northern Ireland, which covered areas related to an insistence that government recognise the potential and value of community development as a regenerating force and commit itself to a policy which accurately reflected that view; that such a policy be also reflected in the relationships between local government and the community and voluntary sector; that voluntary organisations adopt clear guidelines to provide a framework for their relations with community groups; that centres for the promotion of community development be established in both urban and rural areas, and that a financial commitment be made by the state, both for seed as well as core funding for community development. These were ambitious proposals and some gains were made. The government allowed the initiative for a rural centre to become a reality with the establishment of a Rural Development Council to be based in Loughry College, Cookstown. It participated in the creation of the Northern Ireland Voluntary Trust, although before the recommendations of the Review Group. Government and its agencies had already made some commitment to community development through its involvement in the Community Relations Commission in the early 1970s, the Advisory Conference of Community Associations (ACCA) in 1975 and the Community Workers Project initiated in 1978. The promotion of the Action for Community Employment (ACE) programme was regarded by many community leaders as a significant contribution to local development, both as a training scheme, and as a contribution to local employment. On the other hand, there is much to suggest that the use of the ACE programme provided an excellent opportunity for the state to counter the growing influence of Sinn Fein on the streets by instantly neutralising selected community groups and rendering them ineffective as a focus for local political activity. Other adjustments were also taking place. At a time when the Rural Action Project, with its origins in the EC-sponsored Second Combat Poverty Programme, was beginning to shed one mantle and assume another in the shape of the Rural Development Council, the Review Group were making significant recommendations on the issues of rural poverty and rural development as a countering measure. Indeed, it is the specific reference to a lack of inter-agency cooperation in community development which most marks the contrast in strategies between the models of development proposed within an urban context, as distinct from the rural situation. The adoption by most rural community groups of an integrated strategy of development is the single most important departure in developmental terms, which contrasted sharply within the single-issue focus of many urban-based groups. This issue was most evident in the criticisms raised by the Community Development Review Group. So what were the practical effects on the ground of these recommendations? If it could be argued that the community sector in an urban context, had been weaned away from the radicalism of the 1960s and 1970s, could the same be said of those engaged in such work in a rural setting? Furthermore, did it succeed in drawing the rural community away from the economic-cultural margin and integrating it into the broader ideological hegemony of the state? Undoubtedly, there was a difficulty in defining rural poverty and yet there was a recognition within Europe that it was one of the most troublesome problems the European Commission had to deal with. Speaking on the importance of rural development to regional policy, Philip Lowe, then Chef de Cabinet to the European Commissioner for Regional Policy, said that ‘the ability of rural inhabitants to protect and develop the area they occupy will be paramount.’ The extent of the problem world-wide is well documented, but the responses from agencies and academics are, at best, ill defined, and at worst, inadequate. The extent of the problem is almost immeasurable. The World Bank has estimated, for example, that about 85 per cent (550 million) of those throughout the world living in absolute poverty (defined as an annual income of less than US $50) reside in rural areas. There was a tangible feeling amongst community activists that, compared to other more affluent countries in Europe, extreme levels of poverty also existed in some of the more remote areas of the Irish countryside, North and South. In the context of examining the hegemonic relationships within Northern Ireland, such figures are crucial to an understanding of the problem. Whilst accepting that the European Community does not have a direct responsibility for finding a resolution to the problems of the Third World, it is widely accepted that the response to the social problems of rural Europe is less than satisfactory. Claiming that he proposed an integrated rural development programme for Northern Ireland in 1984, leader of the SDLP John Hume argued that the tendency towards a drift into the cities resulted in the erosion of traditional communities, the breakdown of order and an inevitable upsurge of anti-social behaviour. Such communities, he suggested, hold people together in a relatively harmonious equilibrium, through a network of family and community constraints and pressures which generate socially considerate behaviour. 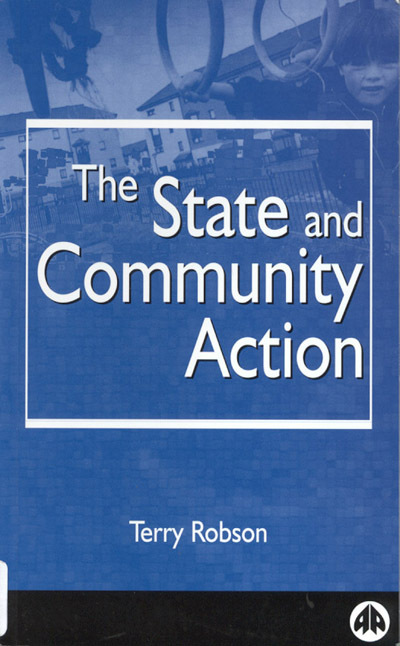 This was a communitarian view of society in Northern Ireland, it could be argued, some nine years before Etzioni’s book, The Spirit of Community, offering simplistic, yet compelling arguments for those who subscribe to a community perspective of the developmental needs of people living in poverty in both urban and rural areas of Ireland. But some groups adopted an alternative perspective. The proliferation of community activity in the absence of state responses to poverty included organisations such as the Bogside Community Association and its successor in the same area. Both were built on traditions of self-help and initiative at a time when unemployment and emigration were almost the only options left open to men during the bleak periods following the Second World War. Housing committees, credit unions and tenants’ associations were early initiatives which responded to need. But in the wake of the political crises after 1969, when social problems reached boiling point, the creation of organisations aimed at working-class empowerment rather than dependency gave a distinct and for some in government, ominous appearance of being politically motivated. One such group was known as Dove House. Dove House was built in the late 1960s as an attempt to meet the growing needs of the elderly in the Bogside. Whereas the locality now has a much reduced population, in the 1960s it was a densely populated area with a confusion of houses, lanes and streets and an elderly population far in excess of that which lives in the area now. The house was purpose-built to cater for six elderly people and two staff. It was thoroughly inadequate and lasted a mere six years, after which it was used as a hostel for alcoholics, and, during the crisis period of the early 1970s, especially during Bloody Sunday, as a first aid centre. It lay derelict for a number of years until Mary Nelis, a local community activist, now a Sinn Fein Assembly Member, with some assistance decided to squat in the building, carry out essential repairs and open it as a meeting place for youth and as an education centre. Some of the Dove House members recognised and identified other local needs linked to issues such as poverty, women, unemployment and culture. The members were of the view that they had a keen understanding of the social, economic and political pressures involved in the creation of their community. They were conscious that a great deal more was needed to redress the problems which had forced people into the poverty trap. It was felt within the group that if Dove House had anything constructive to offer, it was probably because, in the face of considerable opposition from establishment figures and central government, it was prepared to make a stand and side with seemingly unpopular causes. Therefore it decided to state its support for the developing interest amongst some sections of the Bogside community in what many were convinced, because of the daily occupation of the streets by troops and the daily diet of British and American television, was a declining and disappearing Irish culture. In spite of the fact that it was an area of considerable deprivation, neighbours looked after neighbours, particularly during times of personal stress. Family ties were close and it was regarded as a matter of honour for people to look after one another. Cooperation on a variety of activities, ranging from street games to indoor snooker to festival committees, was considered almost as a community duty. It had all of the ingredients for what some believe to be the ideal urban community. Before 1969, there were two secondary schools. Several small community-organised halls catered for a range of activities including films for children on Saturday mornings, Irish language classes and schools of music. Small industries thrived as did pubs, snooker halls, barbers and corner shops. It had one RUC (police) station, staffed by two officers, which was closed in 1966 officially because of the rationalisation of the force, but believed by the population to be because of a lack of crime in the district. It was an area which respected the need for law and order, but, because its people lacked respect for the RUC, authority rested on the esteem many ordinary people had for one another. But it was also an area categorised by grinding poverty, emigration, sectarian discrimination and congestion. It is against this background that Dove House became not merely another resource centre, but an initiative by the community which attempted to draw together two seemingly separate areas of activity - the social and the cultural. The resulting connection with Conradh na Gaeilge (the Gaelic League) began partly because of that Irish language organisations need for premises and partly because it was the expressed wish of the Dove House members that some response be made to the growing interest in the Irish language. A significant and unique relationship grew out of the separate, if complementary, needs of the two groups. For a brief time it stood alone as a serious attempt to provide an independent and radical alternative to community work in the early 1980s. There was little in the aims and objectives of the organisation which offered clues to the origins of such a relationship, such as the promotion of individual and community self-sufficiency through the integration and exchange of community skills, and the provision of premises, expertise and resources to foster the development of community enterprises. There is little to suggest that Dove House had any ideas, pretentious or otherwise, about Irish culture. Their activists used to respond that Conradh na Gaeilge was simply a community resource which catered for and encouraged a particular skill. It is difficult to make a judgement on such a statement. Its members believed that it ought to respond to needs, perceived or not, political or otherwise, which were expressed in any way by the community. It was felt by everyone associated with Dove House that we are all constrained by a cultural tradition of some sort, the community worker no less so than the Irish language activist. However, a consideration of the work of Dove House and a search for the threads which drew the groups together helped to identify at least three areas of interest which were common to the Resource Centre and to Conradh na Gaeilge: community, class and ideology. The political and military conflict in Northern Ireland brought with it pressures which divert communities into either accommodating those forms of coercion and adjusting their ideas, or using them as a means of expressing their own particular view. Work arising from such a view could be described as representing a distinct culture of resistance. In a divided society, the possibilities of a working-class culture emerging which is common to all across the community divide are uncertain. But, evidence does exist of a tendency at certain times for members of the working class on both sides of the divide to seek common cause. Those experiences hold out some hope. It was often felt by the group that if Dove House didn’t have the community to provide it with sustenance and support, there would be few Irish language units and community resource centres at all. Was there a connection between the work of those engaged in social action and those involved in the promotion of a minority language? The view that there is a relation between social class and Irish culture must be drawn from more than one example. Indeed the fact that Irish language activists work amongst the working class, or any other specific class for that matter, does not, of itself, establish a connection. So what was the connection between class and culture in the Dove House experience? Class was seen by Dove House, perhaps simplistically, as being connected to poverty, unemployment and political oppression. The Dove House group didn’t attempt to formulate the question of class in Marxist-terms, even though some of its past members might have described themselves as such. The manifestations of class conflict, as they understood it, related to poverty and political oppression. Furthermore, culture was defined also by a need to identify and separate themselves from those whom they perceived as the oppressors. Those oppressors were identified without exception as arms of the state, whether they be soldiers, police or the representatives of the DHSS. What did they mean by community in the context of an area such as the Bogside? It was an issue which arose within the group in discussions on the role of the separate organisations such as Dove House and Conradh na Gaeilge and the effects such a role would have on their developing relationship. But that role arose out of their own individually developing attitudes to issues as they emerged and not as any clear form of common denominator. In other words, even their attitude to the question of the Irish language, which may appear to some to be the only real and tangible basis to that relationship, arose as each group responded in its own way to the cultural demands of a local community which defined culture as a means of laying claim to a hitherto unclear and indistinct ‘Irish’ identity. Their respective roles were as promoters of the language and as facilitators in the removal or eradication of social and economic inequality. Their relationship was derived from a common, if independently held, assessment of those two factors. In this context, the community became the common denominator. There is a perception amongst some activists that community can be a substitute for class, as a model for social change, and as a means of social action and protest. Deep within this is the assumption that its substructures are of little importance. In those circumstances and against that sort of background, the community acquires a different significance. Class becomes less important and subordinate to the more ‘important’ one of resolving the ‘fundamental’ problems associated with the wider community. Such attitudes can also be found amongst those community workers who promise a romantic notion of the past, of warm affectionate relations and neighbourliness, and who advocate the creation of almost medieval conceptions within a modern urban environment of a clannish approach to society with cities containing small village-like communities which are insular and independent. Traditionally ambiguous and antipathetic to industrialisation, such groups see the answer to social problems on a much more parochial and molecular scale than the Marxist, who has a wider and more global understanding of the social and economic problems facing communities. The crisis of the older community after the introduction of Direct Rule in 1972 and the creation of a Northern Ireland Housing Executive with widespread and sweeping powers to demolish old buildings and erect new houses, caused considerable confusion amongst people who had found a certain security in the maze of small streets and alleyways. Even today, decades after the decision which resulted in the inevitable dispersal of the Bogside population, the local newspapers contain appeals for housing from people who want to return to their old area. There still appears to be a compulsion to return to the community roots from some within the broader dispersed ‘Bogside’ community. The differences which exist between the nationalist and unionist communities are regarded by some as unique in the context of a Western industrialised modern state on the European periphery. But, within those two separate groups there also exist more traditional differences. There was a time when those differing attitudes could quite easily be identified and differentiated according to their attitudes to what are euphemistically described as ‘class issues’. However, within their respective communities, both unionism and nationalism in Ireland realistically reflect the sectarian equivalents of an all-class alliance. The constant reliance on state benefits, a recognition that high unemployment will always be with them, a tendency to encourage each other to ‘work the system’, disseminating information about welfare benefits which result in a network of welfare-rights offices create a sense of interaction and an interlinking within the community of people who depend on the state for support. There are aspects of what Oscar Lewis calls a culture of poverty. Impressions of marginalisation, male chauvinism and parochialism could easily be applied to the community. Of course it would be wrong to attach to the community an entirely negative impression. There are sections within it which accommodate the idea of a working class aspiring to higher status levels. Some might suggest a form of embourgeoisement. But is this the same as their wanting to be a part of the middle class? There is clear evidence of dependency although paradoxically that is not necessarily expressed in terms of helplessness. The many community enterprises such as the credit union, several cooperative ventures, the Bogside Community Association, Dove House and numerous other local initiatives are a testament to community initiative and inventiveness. The community ‘spirit’, as some have described it, in which some members of the community who are in a slightly more vulnerable position than others but who are able, traditionally, to rely on the more fortunate to help them out, acts even now as a relief valve which helps to neutralise their frustrations and their militancy. Such an observation might suggest that a Marxist view of class in which the contradictions and the frustrations can be harnessed to enhance and develop class consciousness is way off the mark. There is a growing recognition that the welfare state in an economically depressed area such as the Bogside creates a dependent and passive community. However it is also understood that community initiative can result in an energetic if distracted community. community groups respond to such situations with the creation of welfare rights groups which specialise in making the welfare state more accessible than it has been. But some argue that such an approach merely reinforces the already deeply entrenched sense of dependence on the state. Does such work actually contribute to the growing group of dependants who are being increasingly marginalised? Do groups such as Dove House actually contribute unconsciously to the notion that within the Bogside there is a developing culture of poverty? The question of identifying culture in the context of any working-class area such as the Bogside is difficult not only because of the different social groups within the area, but also because of the confusion of cultural interests resulting in part from the community’s attitudes to their enthusiasm for the ‘national’ culture as well as those influences arising from the control of their present cultural interests by external interests and values. If one were to accept that the most important feature of a community based on a geographical location is the incorporation of varied and diverse interests, and subsequent rejection of class distinctions, then examples of such diversity must avoid the stereotypes associated with social class such as the trade union movement. The history of the trade unions in the Bogside is limited. The labour movement has very little influence in the area. Politics are determined by one’s attitude, not to the interests of one specific group, but to the overall interests of several, under the all-embracing banner of nationalism. Thus local nationalist politicians have little difficulty in explaining that their political aims are based on the interests of all, rich and poor. The same can also be applied to those within unionist communities. The problem though is that there are very few who could be described as rich in the Bogside and far too many who know the meaning and the experience of poverty. It is not unusual within embattled communities, particularly those which develop a sense of resistance to the state, to see the development of ideas, habits, opinions and modes of dress which in some way reflect an ethos of opposition or resistance. There are numerous examples of this which if taken by themselves do not specifically indicate a clearly identifiable cultural form - the Tartan gangs of the early 1970s might be one. That response by some young loyalists didn’t noticeably affect the general cultural environment of the community and lasted at most two or three years. Furthermore, its origins to a large extent lay outside their own neighbourhoods and had as much to do with the issue of popular music than with any specific indigenous political or religious traditions. But they helped to identify and explain distinct groups. Areas like the Bogside, on the other hand, have also developed a series of attitudes, ideas and modes of living which are developed from the traditions of a community used to looking to its past as a means of responding to the problems and issues of the present. The well-developed interest in Celtic art and music amongst the whole community may be a useful example. Furthermore, there is ample evidence that the growing enthusiasm for the Irish language, the popular interest in Irish music and other artistic forms as a result of the community’s response to its political difficulties have their origins in a period free from the more obvious manifestations of the conflict. After all, the Bogside, prior to 1969, was an area which had its fair share of Irish cultural interest groups. Whilst there were probably as many active enthusiasts in the 1950s and 1960s as now, it is the extent of the broader community’s identification now with what is perceived to be ‘their’ culture that marks the difference. In that context it would be difficult to separate such developments from the peculiar political conditions of the post-civil rights generation. The identification with Irish music amongst large numbers of young members of the community must be seen against the background of the present conflict. The age of musical groups such as the Dubliners and the Wolfe Tones may have passed, but the legacy of what they represented to those who listened to their music, as a symbol of resistance, isn’t too far removed from the present. Interestingly, in the Dove House experience it was those at the bottom of the status ladder who generated the greatest interest in the Irish language, art and music. This isn’t surprising. The maintained school system concentrated in the past on a range of ‘Irish’ subjects in its curriculum. Irish history and an insistence on the Irish language prepared generations of local men and women for the political upheavals of the 1970s and 1980s. Irish culture and language therefore became synonymous with nationalism and with Catholicism, rather than with class. Indeed there would be many who would argue that it has identified itself more specifically over the last twenty years with republicanism. The suggestion that the Republican Movement draws its base of support from the working class is only marginally correct and a little misleading. There is some evidence that the Republican Movement not only do not see themselves exclusively as a ‘working-class’ organisation, but have no overriding ambition to allow themselves to be marginalised in that way. In spite of the rhetoric, they base their appeal to a wider constituency, recognising perhaps that the road to victory must straddle more than one restricted and limiting approach. Perhaps that is why the ambiguous concept of community appeared to gain much more ground inside Sinn Fein than the slightly contentious issue of class. The lack of support for a class-based political organisation such as the Labour Party might provide further confirmation of a reluctance for locals to see themselves only in class terms. In spite of the fact that community organisations such as Dove House often refer to class, both in their everyday work as well as in publications, there is a tendency to be a little ambivalent about it. The unifying image of community, rather than class, suggests the crossing of class barriers and fits much more neatly into the funding criteria of the major funding institutions such as the NIVT or the Community Relations Council. This issue of culture in the Bogside has been considered from what anthropologist Edward Tylor (1832-1917) described as the ‘complex whole’, rather than from the narrow view of language. The fact that substantial numbers of young people emerged from the North’s prisons with an enthusiasm unparalleled in the history of the Irish language movement is indicative of the struggle by sections of nationalist working-class men and women for an identity which has been swallowed up in a wash of twentieth-century media pulp. But such influences cannot be separated from the social and economic problems which affect nationalist communities. The fact that the Bogside is at the forefront of such a movement of resistance consisting almost exclusively of young active and economically deprived working-class people illustrates the point. The growing and developing movement for the establishment of the Irish language, equally, cannot be separated from the social, historical and political problems associated with the present conflict. Its views, as well as its activities through the promotion of alternative ideas brought the state down on Dove House in 1986. For a brief but critical moment, it lost its funding support from the Department of Economic Development, and a widely supported and successful campaign was mounted to have funding restored. Shortly afterwards funding was not only reinstated, but with an increased allocation. Instead of using such a victory to increase the intensity of its criticisms of the state, the group sought justification for a pause, if not a reversal, of its previous positions. Many groups such as Dove House have moved away from those positions of confrontation with the state. They have been admitted to the growing band of community organisations whose very existence depends on state handouts. Independence and initiative have been curtailed. Furthermore, they have allowed themselves to dispense with their militant posturing and are now being drawn into open partnerships with the state. What makes this development significant? The social partnership is important to the state hegemony for a number of reasons. In the first place it targets those working-class areas, urban and rural, which have been most affected by the troubles of the last 25 years, especially those areas which demonstrated their opposition to the state. Local justification for such a move is located in the argument that such partnerships ‘empower’ local communities. But, rather than enabling either the community or the individual, the social partnerships tend instead, to create a climate of dependency which reinforces the prevailing ideological hegemony. But there is a deeper and more fundamental question to be asked in response to this section on community action in Northern Ireland. Is there some evidence which points to the existence of an attempt to draw local communities closer to the state in a process of hegemony and, as a consequence, are there examples of developments on the ground which might point to the emergence of a counter-hegemonic bloc? There are, at least, some indicators that the extension of the welfare state to Northern Ireland, the attempt at reforms by Terence O’Neill, and subsequent reforms on housing and the franchise, as well as the creation of a variety of quasi-governmental agencies such as the Fair Employment Agency, Community Relations Commission and Community Relations Council, are all designed to draw some communities away from a position of confrontation with the state. It could be argued that the very existence of groups such as Dove House and Conway Mill was evidence, from a state perspective, that the embryo of a counter-hegemonic project was in place. The restoration of funding to Dove House, therefore, was a simple but effective means of restoring its hegemony over such a fractious group. Of course, at its most basic, hegemony is rule by consent. But, for it to succeed, it must transcend the corporate limits of the purely economic class and can and must reflect the interests of other subordinate groups too, so that what is created is a hegemony of a fundamental social group over a series of subordinate groups. Therefore, the apparent spread of resources, in the creation of a welfare state designed to assist the working class in making the transition to acceptance of the political, economic and cultural structures of the dominant class, acts as a prelude for the further implementation of reforms. Just as there are attempts to create the historic bloc which would unite all of the forces in the creation of the hegemony, so also, there are indications of a coalition of forces which suggest the development of a counter-hegemonic force. The emergence of a movement of opposition in the shape of the civil rights movement and the subsequent series of initiatives from the ground, the development of an ethos of cooperation, of fraternity and of egalitarianism, culminating in the concept of community, offered some hope to those struggling for a new alternative political agenda. The indigenous leaders who grew out of this new development acted, initially, as radical intellectuals but were then faced with the more daunting prospect of having to retain a radical agenda against the onset of quasi-governmental agencies anxious to recruit for the extension of the hegemony by using the community structure. Gramsci places strong emphasis on the need for ideological struggle in response to the process of the transition to socialism. Such a process must inevitably be considered against the ideological background of that demand for change, dependent, to some extent, on the social base of that demand, as well as the objective conditions within which that demand emerges. The objective conditions in which marginalised communities struggle through a variety of social movements to initiate change are dependent, to a large extent, on the nature of the hegemonic relationship between the ruling, dominant class and members of the working class. The example of Dove House as a response by people within a marginalised, peripheral community is one example of a social movement challenging, if unconsciously, the basis of that hegemony. Those questions raised in response to the exploration of Gramsci’s ideas provided opportunities for a clearer understanding of the nature of a community ‘ideology’ and its position in relation to the delicate balance of hegemonic relationships within a civil society. It is in the delicate balance between those relationships that the community movement has sought to make its most important contribution. Conversely, it is also a recognition of the significance of that role, within civil society, that the community movement has become a pivot of increasing attention from the state, and in which its direction is one of its most focused. J. Bardon, A History of Ulster, The Blackstaff Press, Belfast, 1991, p. 625. See E. McCann, War and an Irish Town, Pluto Press, London, 1993. Interview with Ivan Cooper, former Minister for Community Relations in the ‘power-sharing’ Assembly led by Brian Faulkner. He was a founding member of the SDLP. Interview with Niall Fitzduff, current Director of the Rural Community Network in Cookstown and formerly a member of the development staff of the Community Relations Commission. H. Griffiths, ‘The aims and objectives of community development’, Community Development Journal, vol.19, 1974. Interview with Eamonn Deane, currently Director of the Holywell Trust, a community-based training and development initiative in Derry, N. Ireland. He had been active in the formation of the Bogside Community Association in the early 1970s. J. Oliver, cited in B. Rolston, ‘Community Politics’ in L. O’Dowd, B. Roiston and M. Tomlinson (eds), Northern Ireland: Between Civil Rights and Civil War, CSE Books, London, 1980. Report, Community Worker Research Project, Evaluation Report, Belfast, 1982. New University of Ulster: established after the recommendations of the Lockwood Commission. It was established in controversial circumstances because of the campaign to have it situated in the larger city of Derry. It was replaced by a reorganisation which resulted in the addition of two campuses in Jordanstown and in Derry. It is now known as the University of Ulster. R. Woods, ‘The State and Community Work in Northern Ireland, 1968-82’, Unpublished thesis, University of Ulster, Jordanstown, 1989, p. 184. Sinn Fein: (tr. Ourselves Alone) the oldest political party in Ireland, founded in 1902 by Arthur Griffith. There have been several splits from Sinn Fein since its foundation which might test the view that there is a historical continuity between the Griftith organisation and the present of which Gerry Adams is the President. CDRG, Community Development in Northern Ireland, Belfast, 1991, p. 1. Ace Vetting: for a full account of the issue of political vetting of the Action for Community Employment (ACE) schemes see, for example, Northern Ireland Council for Voluntary Action (NICVA), The Political Vetting of Community Work in Northern Ireland, Belfast, 1990. M. Murray and J. Greer, ‘State - community relationships in rural development’, Community Development Journal, vol. 29, no.1, 1994. P. Lowe, ‘The role of rural development in community regional policies’ in M. Cuddy (ed. ), Revitalising the Economy: How can it he done?, Centre for Development Studies, Galway, 1990, p. 45. J. Hume, ‘Regional Policy and the feasibility of integrated programmes in northern peripheral regions’, in M. Cuddy (ed. ), The Future of Regional Policy in the European Community: Implications for Ireland, Social Science Research Centre, Galway, 1987, p. 64. The Bogside: A district in Derry in Northern Ireland. It took its name from the fact that it sat on the remains of a swamp. The area now known as the Bogside was originally one single, very narrow little street. A chart dated 1799 names the street as ‘Long Bogside’. It is a mainly working-class community, strongly nationalist with a history of high unemployment, and sectarian discrimination. It has been in the news for the past thirty years because of its position as an area noted for its militant republicanism and opposition to the British presence. See, for example, PES. Ua Conchubhair (ed. ), Essays on Social Glass and Irish Culture, University of Ulster, Derry, 1989. Conradh na Gaeilge: (tr. Gaelic League) founded in 1893 by Douglas Hyde, a Protestant who became the Republic’s first President. It exists, primarily, to encourage support for the revival of the Irish language. Gregory Campbell: a member of the Northern Ireland Assembly, Derry City Councillor and leading member of the Democratic Unionist Party (DUP). Martin McGuinness: Member of Parliament for Mid-Ulster and member of the Northern Ireland Assembly. He is also Vice President of Sinn Fein. See, for example, 0. Lewis, Five Families: Mexican Case Study in the Culture of Poverty, Souvenir Press, London, 1976. See, for example, Gerry Adams, The Politics of Irish Freedom, Brandon, Dingle, 1987. See, for example, E.B. Tylor, Primitive Culture: Research into the Development of Mythology, Philosophy, Religion, Art and Customs, Vol. 1, Harper, London, 1958. Gramsci, Selections from Prison Notebooks, pp. 12-13.